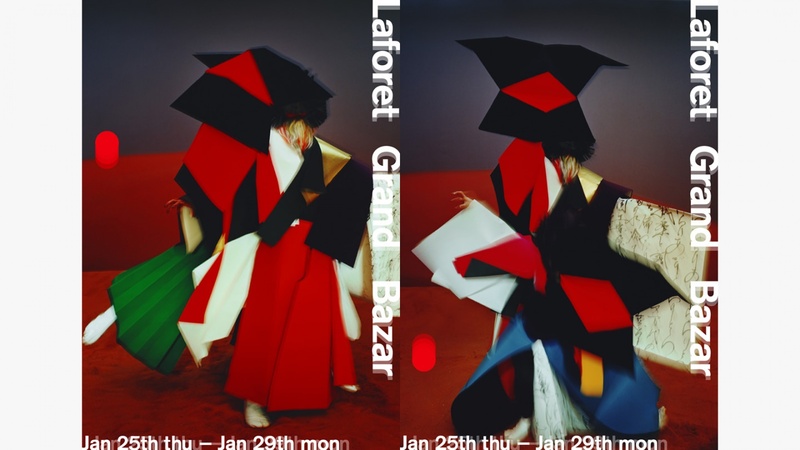 Advertisement for Laforet Harajuku's biannual "Grand Bazar" sale. It's been roughly 100 years since the "bargain sale" custom was begun in Japan—it has become a sort of tradition. Laforet Harajuku has long participated in the tradition with their mega sales, bringing energy and excitement to the Harajuku area. The bargain sales here have transcended the realm of inventory disposal and have grown into something of a harvest festival to celebrate new finds and ideas, as well as a show of appreciation for its continued reign as a cultural hub of Tokyo. Such was the concept behind the lion dance motif for the Grand Bazar winter 2018 campaign. 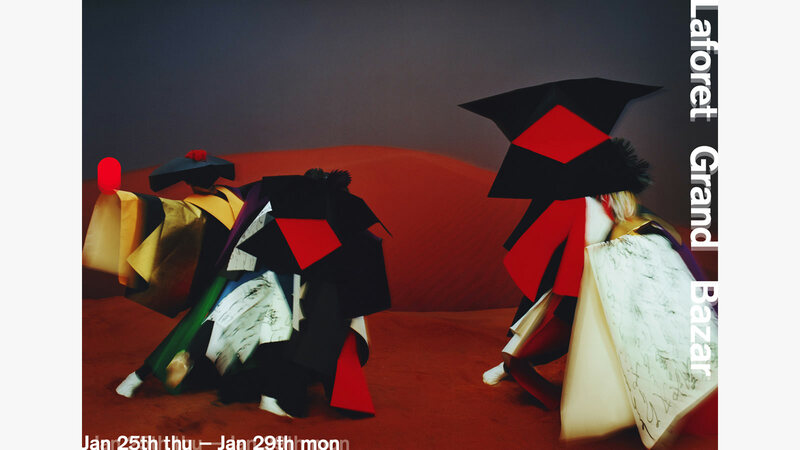 The costume design was inspired by origami. May the festivities continue for many years to come.